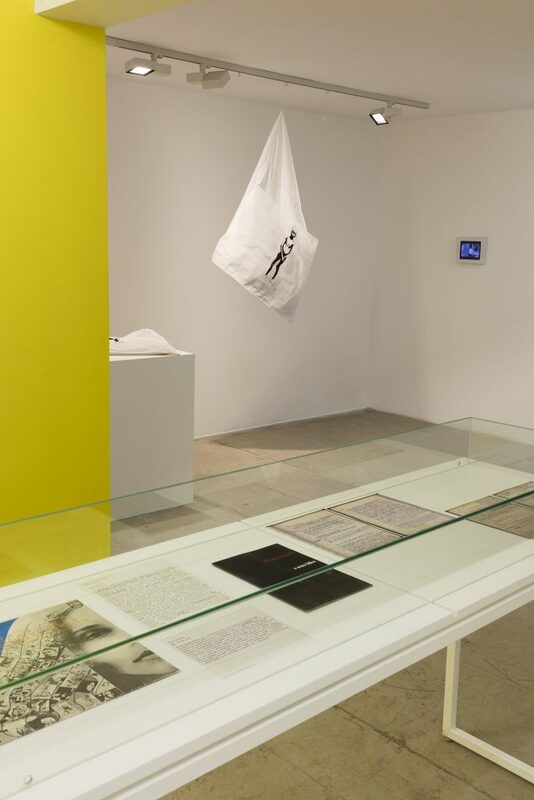 São Paulo’s Galeria Nara Roesler exhibits “Barracão: Helio Oiticica” in alignment with a comprehensive showing of this groundbreaking artist at Pittsburgh’s Carnegie Museum of Art, which travels to the Art Institute of Chicago and New York’s Whitney Museum of American Art next year. 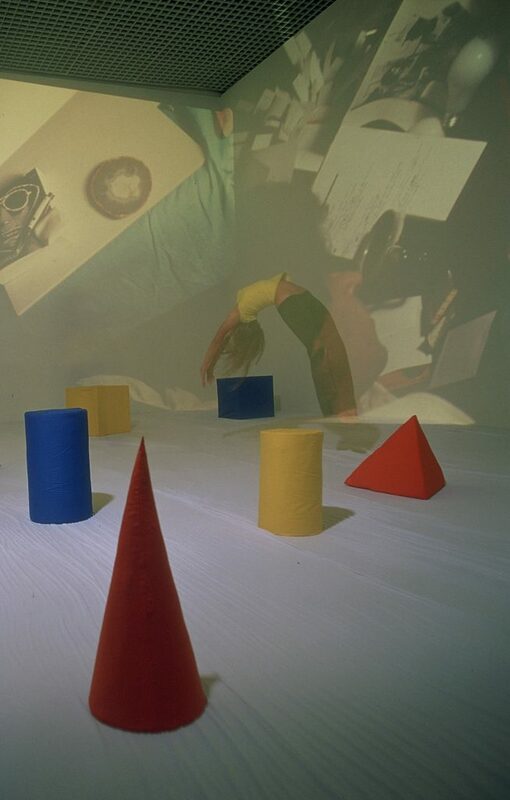 The US show’s title, “Helio Oiticica: To Organize Delirium,” relates to a phrase by British art critic Guy Brett who was in awe of Helio’s advanced concepts of art-life/life-art and also was responsible for his first international exhibit, in 1969, at London’s Whitechapel Gallery, entitled “The Whitechapel Experience” which earned Helio a residency at Sussex University in Brighton. 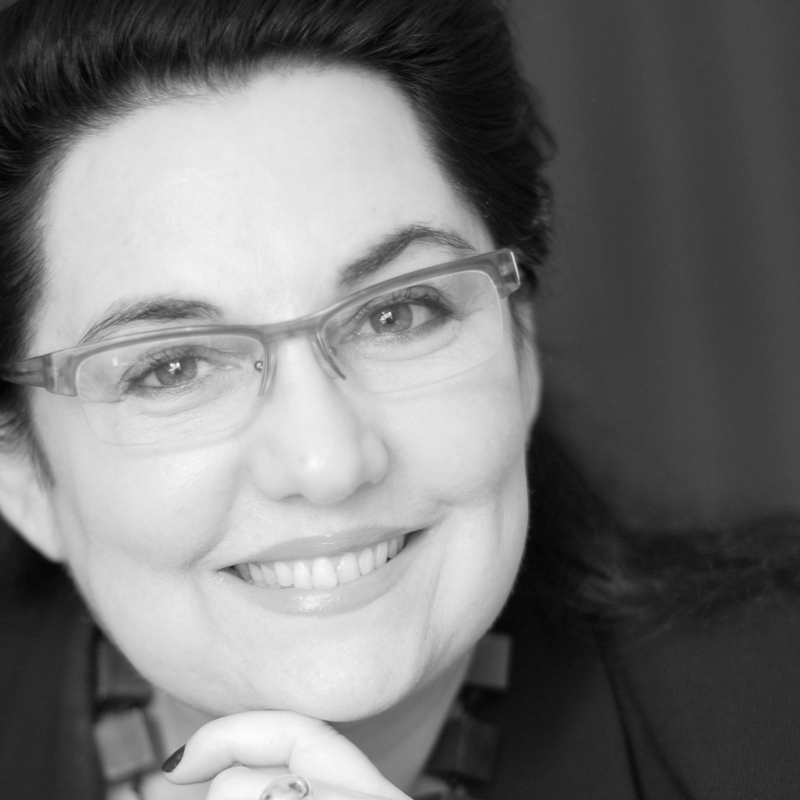 Also responsible for his work’s resurgence after his death was French art historian Catherine David when she was the curator of the Pompidou in Paris, in the late 1980s. Brett and David’s enthusiasm for Helio Oiticica were brought forth at the opening talk at Galeria Nara Roesler delivered by his friends and co-participants: avant-garde filmmaker and artist Neville D’Almeida, American artist and musician Lee Jaffe, Cesar Oiticica Filho, Helio’s nephew and curator of his work since 1997, and art historian Paula Braga. We interviewed all four about the impact of Oiticica’s work. Rio-born Helio Oiticica (1937-1980) radiated a revolutionary energy in art. 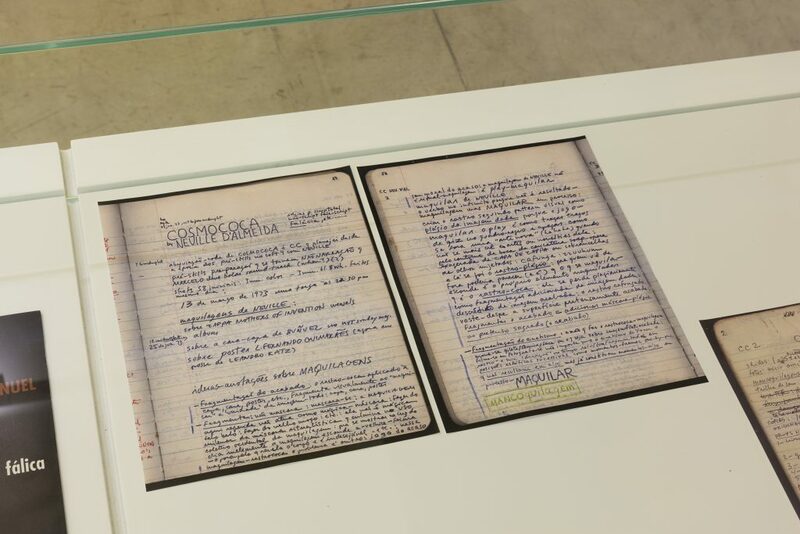 His forward-thinking, all-inclusive concepts and projects (“Programa in Progress”) meticulously recorded and sketched in his own handwriting in several paper notebooks—until he was taken at the young age of forty-two by a massive stroke—make up the backbone of contemporary art. His anarchic socio-political reflections ousting all shades of repression and demonizing the stale role of Western art in our standard-minded society began early in the 1950s when he was a twenty-year-old philosophy bookworm, neophyte in the arts and junior participant in Grupo Frente, Rio’s neo-concrete art movement. 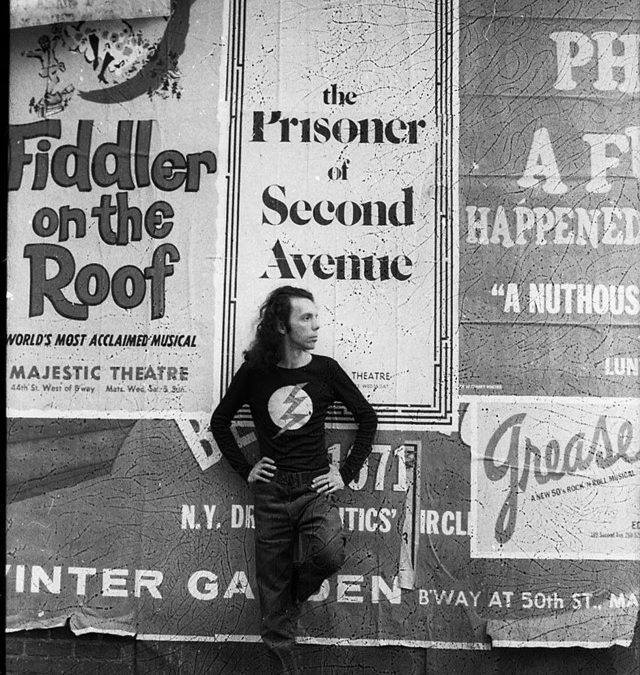 He soon ripened into an effervescent rebel who created the Bolides, Penetraveis, Nucleos and Parangoles, followed by his development of Tropicalia, expanding into the intellectual experiences of 1970-1978, a period in which he lived in New York, exhibited at MoMA and received a Guggenheim grant, until his final return to Brazil to a less-suffocating but still military-ruled environment two years prior to his death. Cesar Oiticica Filho, nephew of Helio Oiticica, is curator of his oeuvre since 1997, as head of the Projeto Helio Oiticica. What is one of the main concepts in your uncle Helio Oiticica’s vast work that surfaces to your mind when you think about his revolutionary experiences in art? He has so many but I regard as particularly significant in this day and age the concept he named “Delirium Ambulatorium,” which is taking a random walk through a city to gather experiences and then transforming them into works. Can you contextualize the Barracão experience? It’s an anarchic collective experience Helio implemented with works done with several artists from different medias and fields all tied to a unique proposition, which is to create open shared works that are completed by other artists. How do you evaluate his contribution to contemporary art? He was years ahead of this time and was recognized as an innovator in global scale as one of the inventors of contemporary art. Paula, to best understand Helio Oiticica’s revolutionary oeuvre, please explain the concept behind his art. There are several concepts driving his work, but if I’d have to choose one it is Invention. Invention is what is new that remains new as time passes by. Nietzsche was an inventor, the Rolling Stones, Duchamp, writers Shakespeare and Brazilian Oswald de Andrade were inventors… In a 1979 interview, Helio said “normal people become artists; I became an instigator of states of invention.” His oeuvre is plural and inclusive because he works with concepts of invention created by inventors in different times and cultures. Another interesting concept regards the role of the viewer. In the 1960s, the observant, distant viewer is transformed by Helio into an active participant free to turn himself into an inventor by reconditioning and thus recreating himself. In his concept, the shackled, traditional spectator is allowed to reinvent his own existence, freeing himself from a pre-fabricated life imposed by the cultural industry and other forces of power. So now let’s tie it all up with Barracão (1969), on show at Nara Roesler. Barracão defines a shelter for invention. In Helio’s conceptual explanation, he mentions the Stone’s “Gimme Shelter,” launched in 1969. For him this song was an outcry from a suffocated crowd that yearns for a shelter safe from the repression imposed by capitalism and its never-ending overproduction. He was reading Marcuse, was in sync with Woodstock, with activist and anarchist Abbie Hoffman, when he finally rounded up the concept “Barracão,” a shelter for libertarian forces and transforming behavior. This explains the political edge of Helio’s work: it aims to change behavior, therefore, it is politically revolutionary. 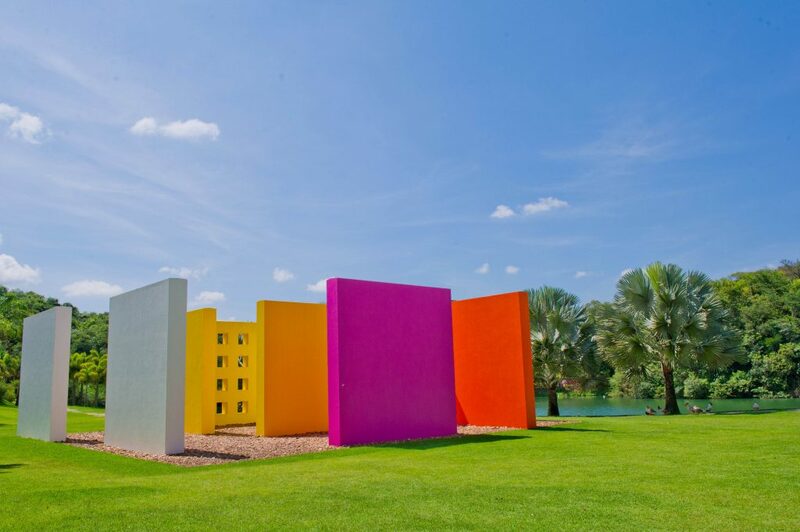 What about the “Cosmococas” (1973–1974), which has also been built at Nara Roesler’s gallery in a previous show and has a permanent pavilion at Inhotim. The “Cosmococas” bears two aspects of Helio’s revolutionary ideas: it redefines behavior and redefines art itself. It’s actually a movie house where the body is free from an imposed passive state, free to move, dance, jump, to expand the five senses. 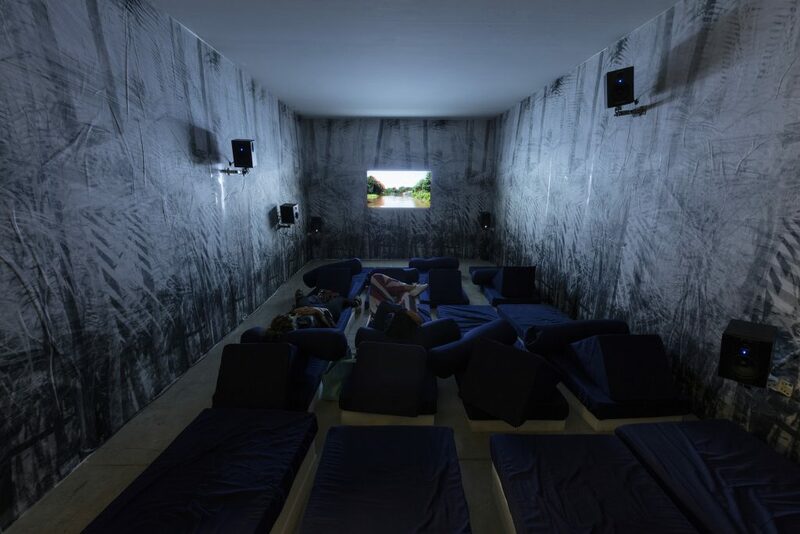 It has moving images bathing its walls, some of which are drawings done over vinyl cover and books with a trail of cocaine. “Cosmococas” doesn’t advocate drug use it challenges art to achieve a suprasensorial state. It all began in 1964, with the Parangolés, when Helio visited the community of the Samba School of Mangueira, in Rio’s favela, and saw with his own eyes that the collective creation in the school grounds (barracão) was an explosion of pure vital force. The Parangolés are special reliefs over the dancer’s body. It’s a work that needs a physical body in movement in a place where it can expand. How would you sum up Helio Oiticica? Helio gave Brazilian art a radical upsurge, as English art critic Guy Brett used to say, by combining the making of art with a social, political and ethical debate. He planted art in daily life. Through Helio, day-by-day itself becomes art. He imploded the stale notion that art is an object of contemplation introducing the concept that art is a beacon of life. Neville, tell us about your friendship and work with Helio Oiticica. 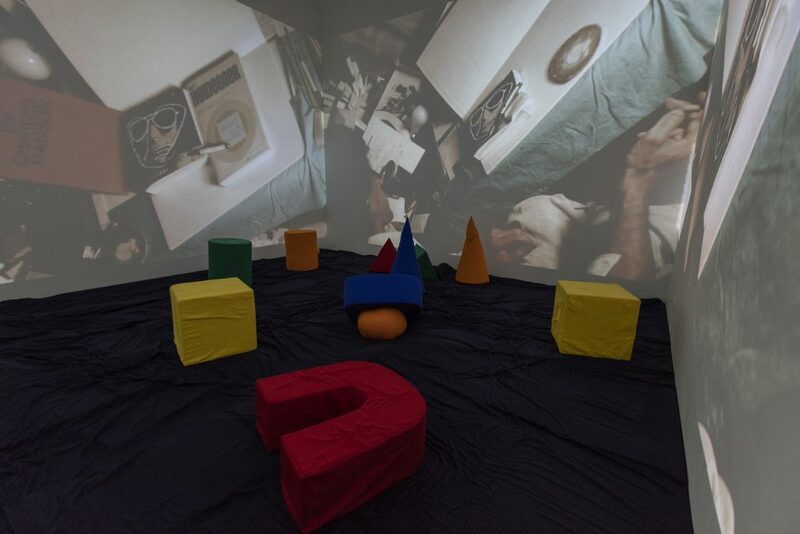 The association of Art-Cinema and Cinema-Art by Helio Oiticica-Neville D’Almeida had as core proposal: “To Do What Had Never Been Done Before.” The concept was: Programa in Progress. We created the first audiovisual, interactive, sensorial installation in the history of contemporary art with photos, slides projection, soundtrack and lounge music. It was so ahead of its time that it took twenty-five years to be shown. Another of our revolutionary concepts was to invite other artists to join us in works, rounding up the concept Programa in Progress with their participation. It’s important to understand Helio and I didn’t collaborate with one another, what happened was something much more profound. It was the fruit of long hours of conversation during two years, in the end Helio and Neville invented the concept together as one. The partnership of the two artists was based on total freedom and deep identification with one another, one of those rare encounters in the history of art in any time. Together we created over 200 works from installations, photos, books, posters, boxes, performances. There are still some works to produce, since Helio had the habit to put in writing all the projects in the smallest details in his numerous paper notebooks. And some final words on Helio. With no doubt, Helio is one of the inventors of contemporary art. He was uncommonly free-spirited, unconditionally creative and exceptionally bold. He was not taken aback during the dark times of Brazil’s military dictatorship. Helio was always courageous, determined and, in all times, conducted himself as a true artist. The main weapon of the artist anywhere, any time is: FREEDOM. Lee, how did you meet Helio Oiticica? What was he like? I lived in Rio during 1969 and 1970. I had dropped out of college and started a band—I am a musician, a harmonica player—and when our band’s equipment was stolen before our first-ever gig, a friend of mind who had just returned to New York from Brazil told me that he had discovered that you could sell LSD to the surfers at the Rio beach at Arpoador for fifty dollars a trip. At that time in New York, you could buy one trip for twenty-five cents! I scraped together $250 and bought 1,000 trips that came on blotter paper and could fold neatly disguised into a book and bought the cheapest airline ticket I could find. It took me twenty-three hours to get from New York to Rio—with stops and change of planes in Miami, Guayaquil and Lima. I had just enough money for a taxi to Copacabana Palace and a phone number for one of the surfers. Word spread and I was quickly very popular. Helio appeared—a wispy mercurial presence with piercing eyes—speaking English with a deliciously lilting Carioca accent. We tripped and walked the beach with heightened awareness of the singing of the ocean and the clouds laughing phantasmagoric weaving around the surrounding mountaintops and I found that we shared an admiration for the Jean Genet film “Chant d’Amour” and for Warhol’s “Empire” even though neither of us had ever actually seen it. Helio’s spacious house on a hill above Jardim Botanico looked down to a spectacular view of the ocean and stood at the base of the rigidly steep mountain atop of which Christ the Redeemer—arms outstretched—towered exaltedly above. Helio’s house was the epicenter of the “Tropicalia” movement. His enormous intellect and extraordinary warmth and generosity were a powerful magnet drawing brilliant musicians, poets, artists and filmmakers who passed through daily—staying for minutes or hours or days—all bonded by a desire and courageousness to create works that would be both aesthetically compelling and politically transgressive. It was a time when the Vietnam War was raging—assassinations of activists Fred Hampton and Bobby Hutton and Malcolm X, Reverend Martin Luther King and Robert Kennedy reverberated in Brazil as the CIA backed military junta was viciously cracking down on leftist academics and artists and the threat of arrest and torture was palpable. Gilberto Gil and Caetano Veloso had been imprisoned and then forced into exile proving that the daily art-making practice of the people in the “Tropicalia” and “Cinema Marginal” circle who I met and had the great fortune to collaborate with [Miguel Rio Branco, Neville D’Almeida, Helena Ignez and Rogerio Sganzerla, Jards Macale and Nana Vasconcelos, Rogerio Duarte and of course Helio], was putting us in imminent danger. How do you analyze his work in contemporary art’s perspective? When I first came to be acquainted with Helio’s art—a precocious twenty year old—I was shocked to find out that what I thought was my thorough understanding of twentieth-century “Western art” was both naïve at best and at worst shockingly parallel to a consciousness of “American” imperialist attitudes of subjectification. Yes, I had read Levi-Strauss but that in no way prepared me to find out that Minimal Art and its break in the 1960s from European tradition and its remnants found in abstract expressionism had in its own way been carried on a decade earlier by Helio and other Brazilian painters. Furthermore, Helio had not only taken painting out of the frame as early as the 1950’s but had liberated it from the wall, ostensibly obliterating the distinction between painting and sculpture. I had come to my visual art practice in college from the perspective of poetry and had begun to create poems combining fragments hand written on matchbook covers and photographing them and blowing them up. Again it was a real eye opener when Helio made me aware of the Concrete movement in Brazil—something that was immediately obvious to me as being more advanced than anything I had been aware of. So it was Helio’s and my shared interests in breaking down distinctions and categorizations—cultural, geopolitical and aesthetic—and our shared interests in music, performance and poetry—that led to our proposal for the “Information” show at MoMA in New York, in 1970. Our intent was to bring a fragment of the Amazon and transport it as a “suprasensorial” experience to Midtown Manhattan—to the cultural belly of the beast. Exhibition “Helio Oiticica: Museu é o Mundo” (Museum is the World), Museu Nacional de Brasília, 2010, with special participation of Cesar Oiticica Filho, Fernando Cocchiarale, Jose Celso Martinez Correa and Paula Braga. Previous Post What Makes a Great Exhibition?